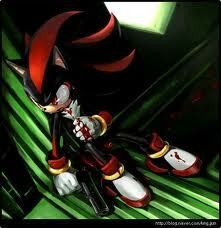 Shadow won't die Never!. . Wallpaper and background images in the shadow el erizo club tagged: shadow hedgehog shadow the hedgehog. wHAT HAPPEND TO YOUR BROTHER?!!! blood... blood... (my charticer in the sonic is half vampire) BLOOD!!!!! me : wtf happen to you? @Kluk: You will have to try to kill him.He'll probably kill you before you do anything. we smack hands to getter then run out screaming RAAAAAAAAAAAAAAAAAAAAAAAAAAAAAAAAAAAAAA!!!­!!!­! !